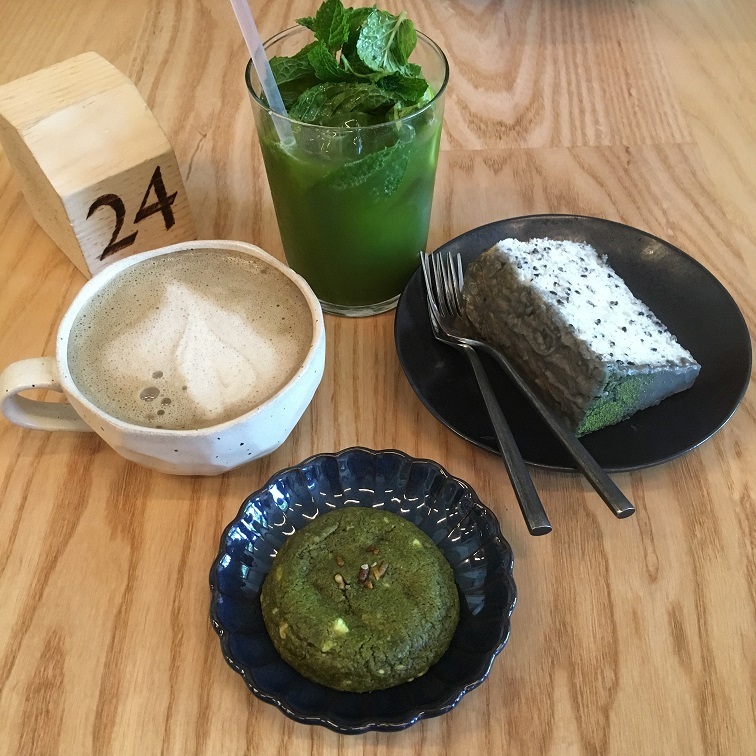 There’s a brand new cafe in SF called Stonemill Matcha, and I am so obsessed with it. My friend Emily and I stopped there for some drinks and desserts. We thought we would try it before it becomes super busy and impossible to get a table there. 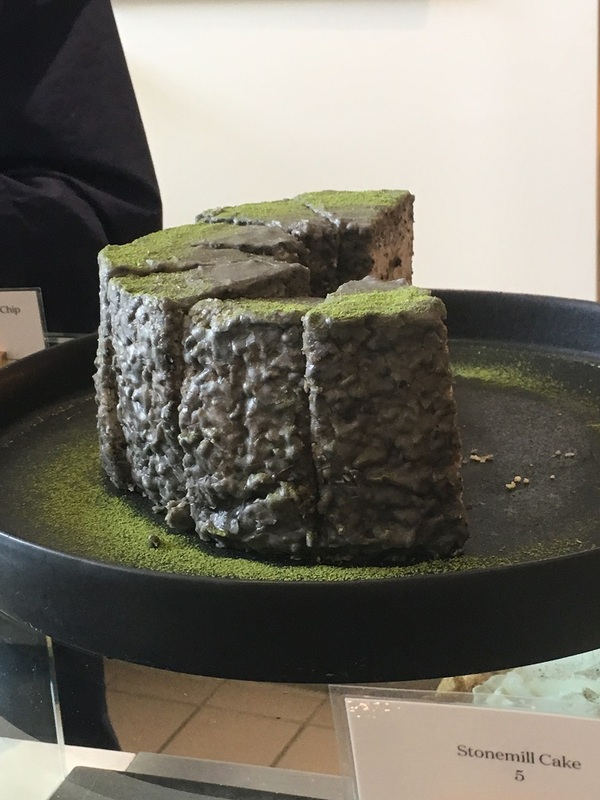 We tried a few things, but my ultimate favorite is the Stonemill Cake, a black sesame cake with black sesame frosting then lightly dusted with matcha powder. I was in love with that first bite and can’t wait to go back to try more of their food. These strawberry lime mojito cupcakes sound so refreshing and delicious. If you’re looking for a delicious and easy breakfast idea, these blueberry oatmeal muffins or these honey strawberry muffins or these rhubard oat bran muffins would be perfect for breakfast on the go. Oh my gosh. This roasted strawberry lime frozen yogurt, this almost instant ruby red granita, and this ginger pear sorbet are going to be life savers once the summer heat arrives. When it gets too hot to spend too much time in the kitchen, this grilled chicken strawberry poppyseed salad would be perfect for your weeknight summer meals. How gorgeous is this strawberry rhubard almond cake? This cinnamon roll french toast would be perfect for weekend brunch. For those busy days when you have no time to spend in the kitchen, these meal prep summer quinoa salad jars with lemon dill dressing would definitely come in handy. This citrus champagne punch would be great for serving during summer gatherings and celebrations. Um, I seriously need this coffee nutella caramel cheesecake in my life ASAP pleasae. This rose lavender honey iced latte sounds like the perfect drink for summer. Thank you so much for sharing my Strawberry Rhubarb Almond Cake! I love your blog! That stonemill cake looks out of this world! Thanks for including my champagne punch! !